CB : I May Never Find. - Peex : CB : Graffiti : Pompe Pas xD. - 2008 : Exclusive (Edition Forever). - 2009 : Graffiti (En Cours...). - 2005 : Yo (Excuse Me Miss). - 2005 : Run It (Feat Juelz Santana). - 2006 : Gimme That (Feat Lil' Wayne). - 2006 : Say Goodbye. - 2007 : Wall To Wall. - 2007 : Kiss Kiss (Feat T-Pain). - 2008 : With You. - 2008 : Superhuman (Feat Keri Hilson). - 2007 : No Air (Jordin Sparks Feat Chris Brown). - 2007 : Cinderella (Umbrella Remix) (Rihanna Feat Chris Brown Et Jay-Z). - 2007 : Feel The Steam (Elephant Man Feat Chris Brown). - 2007 : Speedin (Rick Ross Feat Chris Brown Et R-Kelly). - 2006 : Shorty Like Mine (Bow Wow Feat Chris Brown). - 2008 : Shawty Get Loose (Lil Mama Feat T-Pain Et Chris Brown). 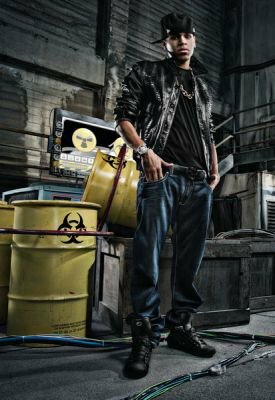 - 2008 : Slam (Bow Wow Feat. Omarion Et Chris Brown). - 2008 : Get Like Me (David Banner Feat. Yung Joc Et Chris Brown Et Jim Jones). - 2008 : What Them Girls Like (Ludacris Feat. Chris Brown). - 2008 : Make The World Go Round (Nas Feat Chris Brown Et The Game). - 2008 : Superhuman (Keri Hilson Feat Chris Brown). - 2008 : Freeze (T-Pain Feat Chris Brown). - 2008 : Bad Girl (Rihanna Feat. Chris Brown). - 2008 : Turntables (Ciara Feat Chris Brown Feat Bahi Brown). - 2009 : Better On The Other Side (Tribute To MJ) (The Game Feat. Chris Brown Feat Diddy Feat Boys II Men). - 2009 : Stronger (Mary J Feat. Chris Brown). - 2009 : Save Me (David Banner Feat. Chris Brown). - Favoris = Nos Blogs. - Com's = Tous Le Monde. - Habillage : By Ours Le Premier Qui Pompe Nique Sa Mére =). - Music Perso = Chris-Brown. Jouer CHRIS - BROWN - 4EVER The Game Chris Brown Diddy Polow Da Don Mario Winans Usher Boyz II Men "Better On The Other Side"
Christopher Maurice Brown, Né Le 5 Mai 1989, Plus Connu Sous Le Nom De Chris Brown, Est Un Chanteur De Pop Et De R'n'B Américain. Il Est Aussi Danseur Et Acteur. Christopher Brown Est Né à Tappahannock, Une Petite Ville De L'état De Virginie Aux États-Unis. Il A Vu Sa Carrière Prendre Son Envol En 2005 Avec Son Premier Album éponyme. Son Premier Single, "Run It! ", Produit Par Scott Storch, A Fait L'Unanimité Dans Tous Les Clubs Et Charts Du Monde. Il Recoit Le Prix De Révélation De L'Année En 2006 Lors Des Soul Train Music Award. Chris Brown Est Apprécié Surtout Pour Son Innocence Dans Un Style Musical Parfois Dur Et Macho. Il Préfère Chanter Des Pages De Son Journal Intime Plutôt Que De Danser Avec Des "Poupées Silliconées". Il Est également Apparu Dans Le Film This Christmas, Steppin' Avec Ne-Yo Et Dans La Saison 4 De La Série The O.C (Newport Beach En France Et Au Québec) Et Une Apparition Dans La Série "La Vie De Palace De Zack Et Cody". Désigné Comme Le Digne Héritier D'Usher, Chris Brown Est Un Jeune Talent Sous Pression. A 16 Ans à Peine, Tout Le Monde Du Hip Hop Et De La Soul Le Zyeute Avec Envie. Il Faut Dire Qu'Il A été Encensé Par Tous Les Grands Du Genre, De Mariah Carey à R. Kelly En Passant Par Kanye West Et Jamie Foxx. Chris Brown Est Une Trouvaille En Or Pour Sa «Manageuse» Tina Davis. Ses Oreilles S'Arrêtèrent Sous Le Clocher De Tappahannock. Un Peu à L'étroit Dans Une Famille De 15 Enfants, Chris Brown Décida De La Suivre Chez Jive Records Fin 2004. Bien Lui Prit, à Peine Un An Plus Tard, Il Signait Son Premier Album. BlaBlaBla = BlaBlaBla . Chiffres = Chiffres.
" Premier Album De Chris-Brown "
03 : Yo Excuse Me Miss. 06 : Ya Man Ain't Me. 08 : Ain't No Way You Won't Love Me. 09 : What's My Name. 10 : Is This Love. 14 : Run It (Remix).
" 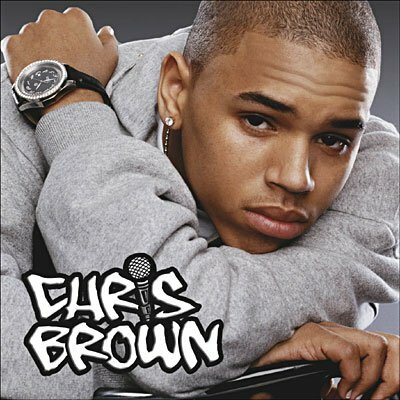 Deuxieme Album De Chris-Brown "
02 : Take You Down. 09 : Wall To Wall. 11 : I Wanna Be. 12 : Gimme Watchu Got. 13 : I'll Call Ya. 15 : Nice (Bonus Track). 16 : Down (Bonus Track).
" Better On The Other Side "
Hommage : For The King Of Pop. This The Type Of Song That Make The Angels Cry. I Look Up In The Sky And I Wonder Why. Why You Had To Go,Go. I Know Its Better On The Other Side. You Were Chosen From The Start. Never Gon' Let You Go.
" 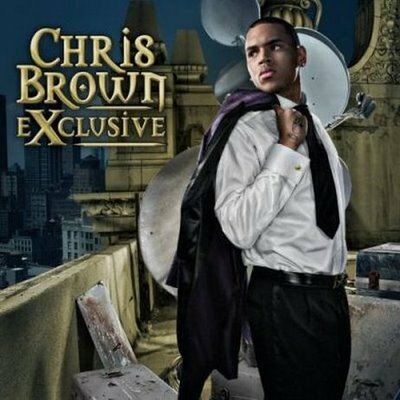 Chris Brown" " I Can Transform Ya feat Swizz Beatz Et Lil Wayne "
Extrait Du Nouvelle Album De Chris Brown Qui Sortira Le 15 Décembre 2009.Cette Album Promet De Faire Plaisir " Graffiti ".